Last night's game was ugly. Very ugly. About the only thing that wasn't painful for the eyes was getting a flashback of magic stuff Rajon Rondo can do on the court. I started reminiscing about his role on the 2008 championship team and how he was the best player in the whole NBA for the first few rounds of the 2009 and 2010 playoffs. How he came back and played with a dislocated shoulder in the 2011 playoffs. How he almost led us back to the finals with KG and Pierce in 2012. After his injury sapped him of some of his athleticism and the NBA game changed to having a pass first point guard who can't shoot from the outside being a huge detriment, things went down hill for Rondo. Still you can't take away his 2007-2012 seasons in Boston. 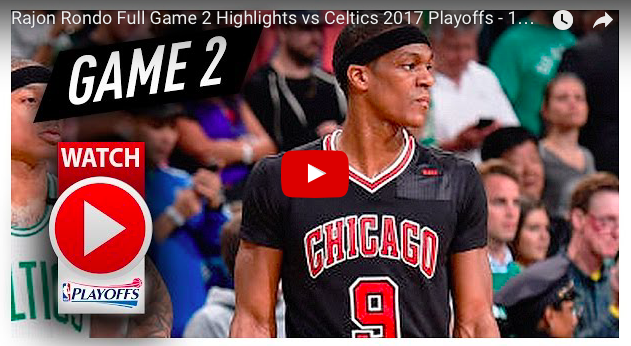 The Bulls were the Celtics opponent in the 2009 no KG playoffs that Rondo first shined as a superstar against. Triple double after triple double. Would have MUCH preferred the Celtics to even up the series last night, but still happy for Rajon. p.s. For those Celtics fans that turned on our former all-star point guard, KG and Pierce still love him. Those are good enough references for me. Yes I know the Michael Felgers and Gary Tanguays of the world would prefer you hate Rondo and boo him. I'll side with KG/Pierce over Felger/Tanguay. You do you though. Related: Can someone explain the Garden boos for Rajon Rondo yesterday?